The CC311304 model watch comes with either a white or pineapple dial face. Further marking the final look and feel of the timepiece is the stainless steel bezel. Don’t miss any appointments with the top precision of japanese quartz movement. 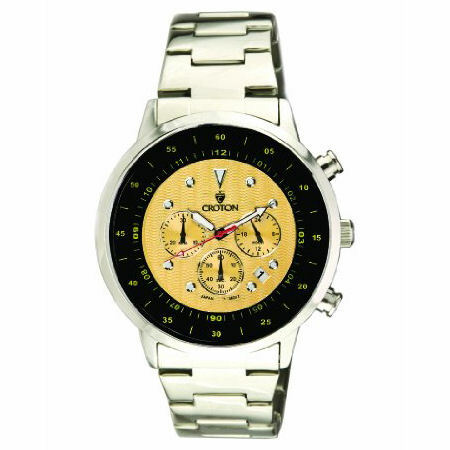 Surfing, snorkeling and other water endeavors are permitted thanks to Croton's 330 feet water resistance rating. The watch showcases a stainless steel case 44 millimeters in diameter and 13 millimeters thick. 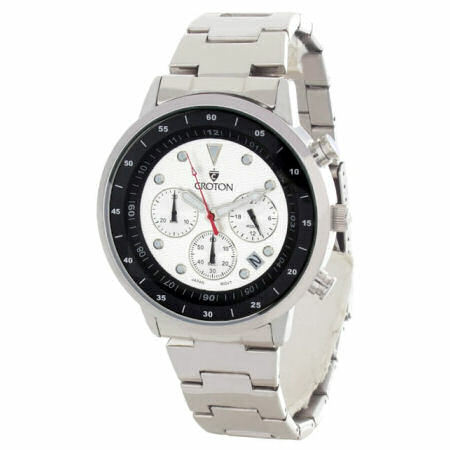 Securing the timepiece snugly on owners hand the stainless steel band also juggles elegant looks and comfort. High-tech mineral dial window is an insurance against accidental nicks and secures years of alluring looks. A fold over clasp tightly attaches the wrist band for a highly comfortable fit. 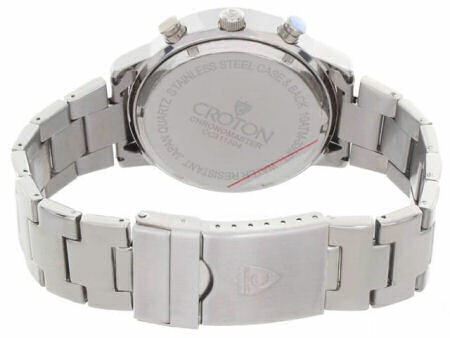 CROTON Stainless Steel Chronograph Watch with Silver Dial and Black Flange CC311304SSSL (more info) — SOLD OUT!